A Nestle Waters information session filled the room at the Central Pennsylvania Institute of Science and Technology Monday, March 12, 2018. Representatives from Nestle Waters answered questions about a proposed water bottling facility in Spring or Benner township. The public forum March 12, 2018, drew about 400 people. 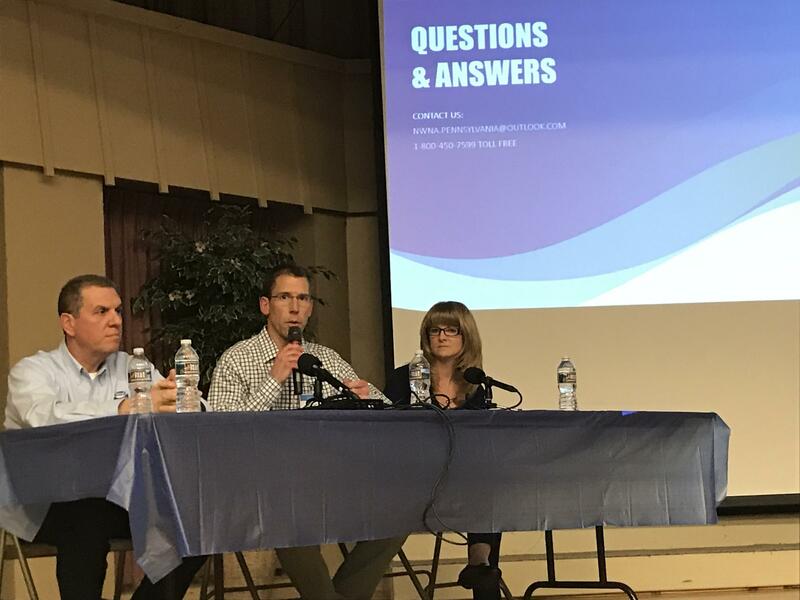 That was just one of dozens of questions representatives from Nestle Waters fielded during an information session Monday night on the water bottling facility the company is looking into building in Spring or Benner township in Centre County. Others focused on the environment, jobs and the company’s track record. Nestle points to the positive economic impact the $50 million facility would have on the area. That includes 50 well-paying jobs at the bottling plant, along with tax revenues. Eric Andreus, Nestle’s natural resource manager for the mid-Atlantic, was one of those answering questions. “I think as we get the facts out about our proposed project, more people will recognize that there’s a significant economic opportunity for the area in the creation of jobs, with no impact on the environmental resource,” Andreus said. But many in attendance seemed skeptical. Courtney Morris of Pleasant Gap was one of about 400 people who filled the meeting held at the Central Pennsylvania Institute of Science and Technology. She’s worried about long-term environmental impact, Nestle’s track record and a lack of transparency in the process. Several community groups will hold a “No to Nestle forum” Wednesday. Andreus said it’s to be determined whether a company representative will be at that meeting. 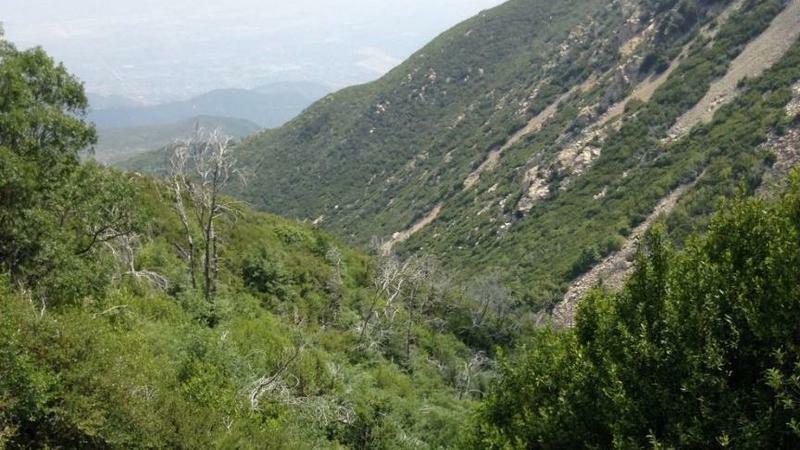 California regulators say Nestle may have to stop collecting a large portion of the water it bottles from the San Bernardino National Forest, because it lacks the legal permits for millions of gallons of water. Nestle sells the water under the Arrowhead label. The State Water Board says that of the 62.6 million gallons of water that Nestle says it extracted from the San Bernardino spring each year on average from 1947 to 2015, the company may only have a right to some 8.5 million gallons. Those numbers come from a nearly two-year investigation.